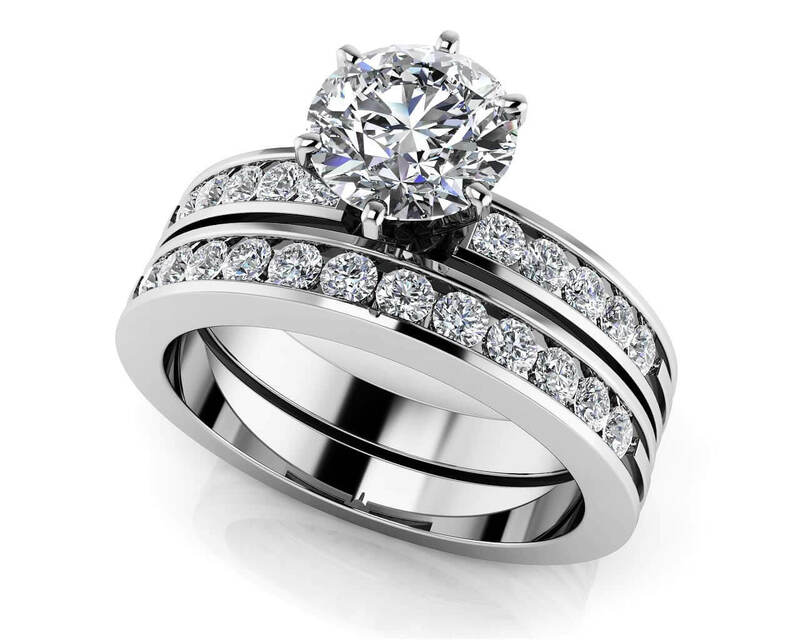 A lovely center stone, in a size of your choosing, is really the starring attraction of this fabulous ring. 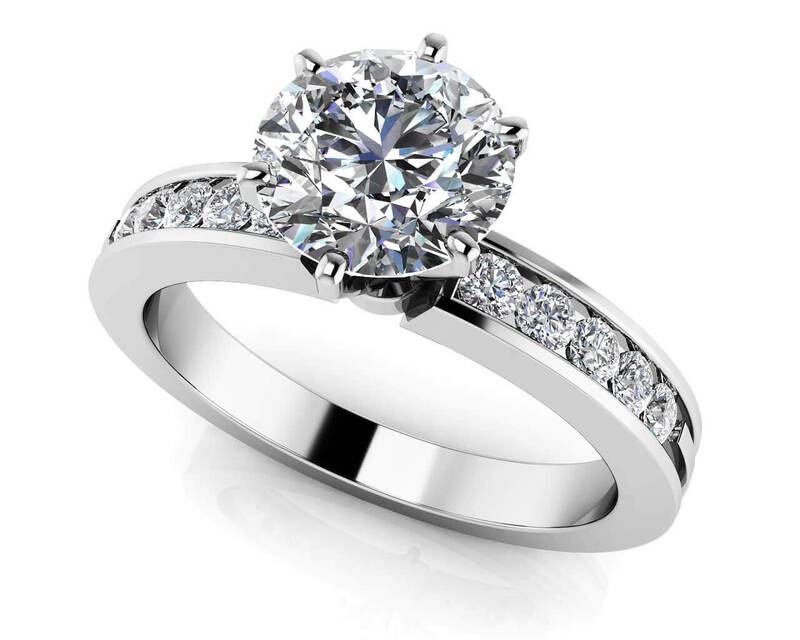 It’s carefully placed into a six-prong setting, and is available in sizes ranging from half a carat to 1.5 carats. 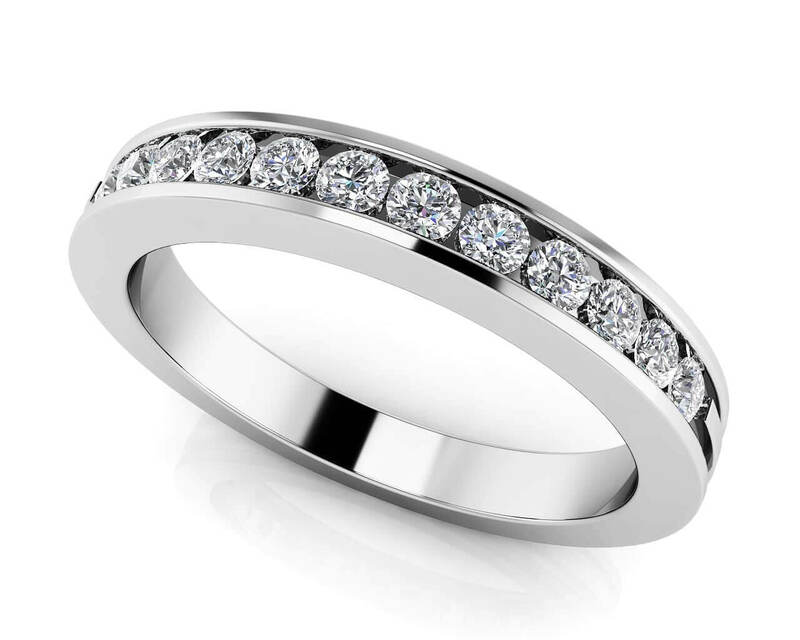 On either side of it, are ten diamonds (five on each side), and they sit perfectly in a channel setting. The result is lovely, and will really put a sparkle in her eye!